This Logic Pro X tutorial focuses on the use of Ultrabeat and Flex Pitch and replacing drum sounds you have already arranged via Logic’s arrange view using audio stems. 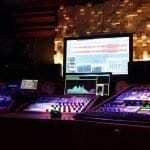 The reason for this tutorial is because of a newbie producer I used to work with. From here on I will reference him as Mr Newbie. Mr Newbie hadn’t been using logic for long, he’d been tracking his drums through dragging and dropping WAV files onto the arrange view of his project, eventually becoming frustrated with how long it would take him to track a decent drum pattern. He wanted to be able to keep the arrangement of his drums and be able to slot in different sounds with ease and experiment with what one-shots he had to see what sounded best straight out of the box. This way of working might be fine for some people but for me! I find it incredibly time-consuming if I want to change my drum sounds but also keep the arrangement, the only option to take in that situation is to build out your drum pattern all over again. This is a complete ballache! Here is my suggestion on tackling the issue. Go over to edit and all the way down to create MIDI track from flex pitch data, you will now see that logic has created a new midi track and duplicated the arrangement of your audio files. The midi may be slightly out of time, now you need to highlight all of the midi data and drag it to the correct point that each one shot should trigger. Now we’re going to move on to using Ultrabeat to experiment with your drum sounds and see what sounds the best with your project. 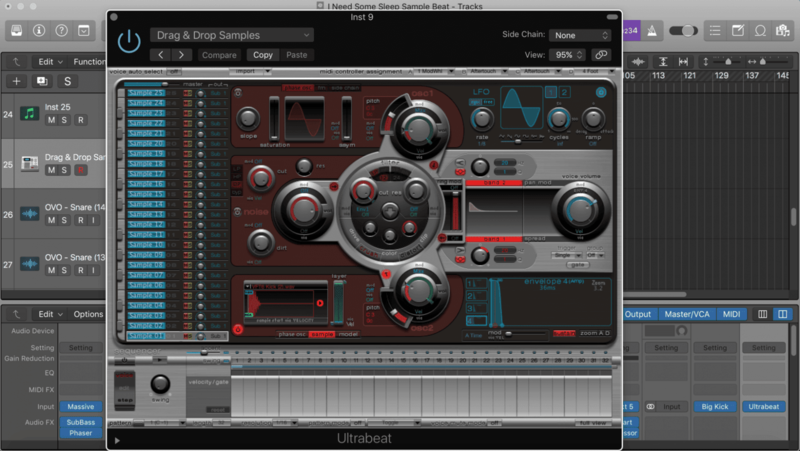 So now we need to select Ultrabeat as the instrument on the midi track logic created for us. Now we want to set Ultrabeat to drag and drop samples and this will ensure that everything is empty and has no samples or effects on any of the keys. 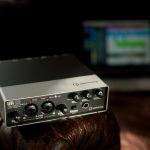 All you have there is to do now is repeat the process for each of your audio files and now you can use Ultrabeat to experiment with as many one-shots as you like.